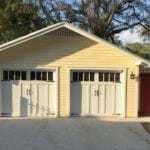 Dan and I couldn’t be happier with our new garage! What started out as a nightmare in July with the neighbor’s tree falling on our old garage is coming to a close with a really fabulous replacement! Here’s to hoping you get more Plant City work because of the positive referrals when people ask us about our building. I live in a bungalow that was built in 1925. When I purchased the house, it had a funky old shed that totally creeped me out to enter. I am a gardener so I had to go in it often to access my supplies. Ick! 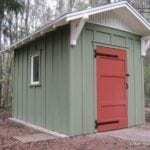 I decided that I needed something nicer, so I started pricing pre-built sheds. They were expensive, not historic & UGLY. 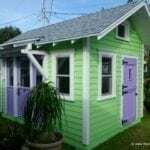 I had some plans drawn for a shed & got some prices for all the trades I would need- carpenter, roofer, painter- for a tiny shed! It all added up to too much plus, I had just completed the restoration of a 1907 Victorian & needed a rest. 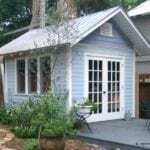 I called Historic Shed & was happily surprised at the price they quoted for everything! Because of their great reputation, I even let them pick the hardware & design the doors. I never let anybody choose for me but I was tired of making choices. I was thrilled with the doors & the wonderful hinges they brought. The best part was that it was installed in just over a day. I am sure that it would have been a month long project with all the trade co-ordinating that would have had to have been done to built it. 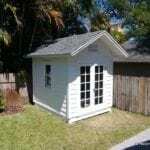 I now have a shed that is the mini-me version of my beautiful bungalow. It holds everything I need & it is clean & fresh. I am looking forward to another season of gardening so I can visit it! Just wanted to compliment you on another job well done! 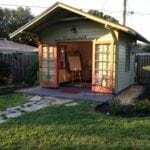 I did the historical inspection for the shed in the historic district today, and it is perfect. 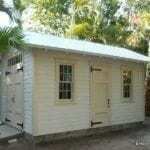 I wish all of our historic district sheds were built by you guys! My wife and I live in a lovely 1920’s bungalow in a historic neighborhood in Tampa, Florida. As those who live in bungalows can attest, they aren’t exactly spacious nor do they exactly live up to modern storage standards. We wanted more storage space but we didn’t want to destroy our home’s aesthetic by purchasing a plastic prefab shed. 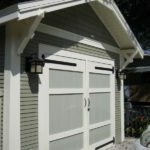 We started contacting shed companies and everyone we talked to couldn’t understand why a faux barn or some composite monstrosity wouldn’t be acceptable nestled among craftsmen, foursquares and cottages.When I contacted Historic Shed they were very excited to take on our project. They asked for a photo of our house, which we were happy to oblige. 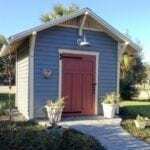 Within a very short time of receiving our photo, they had sent us a plan for a structure that complemented our house’s architecture and matched the roof pitch and brackets.When Historic Shed received our go ahead they pulled all the permits and made our case with Tampa’s ARC. 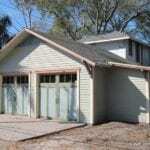 The process went very smoothly and progressed quickly from approval to construction. The construction time was short and the crew was skilled and very professional. The shed is solid and when our neighbor (who builds luxury homes for a living), came over to see it, he remarked that it was really well constructed. We love our new shed. It’s freed our small house of clutter and we think it’s perfectly at home next to buildings 80 years its senior. 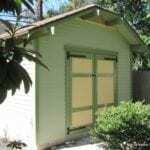 Historic Shed is a custom and semi-custom builder and installer of garden sheds, guest cottages, garages and small cottages. They provide design help, architectural drawings, building off site and installing on site. I was looking for something aesthetically pleasing and well built….not the usual run-of-the-mill fabricated shed that is seen all over. 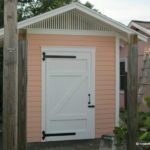 Historic Shed provides architectural details on their buildings that make them stand out. The windows and doors are of the highest quality and the hardware used makes a statement. 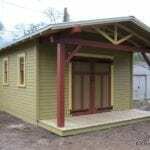 Historic Shed is a small company owned and operated by the Peck’s who oversee every aspect of the project. The carpenters are as proud of their work as are the owners. 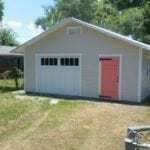 They are easy to work with, reliable and completed the project in a timely manner. I highly recommend this company to anyone looking for quality. They (shed doors) absolutely were a welcome sight…..I did not get home until three in the morning and after a long day of travel delays I was smiling ear to ear when I pulled into the driveway!!!! I am very impressed with the quality of the new doors and the hardware. I have gotten so many compliments from people walking by……I make sure to refer them all to your web site for more information. 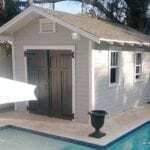 We hired this company to build a storage shed with attached bar for our backyard. 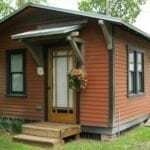 They designed something specifically to meet our needs, including matching the details of our 1920’s bungalow. We had high expectations based on some of their prior work we had seen and we were not disappointed. The project turned out great and they were very easy to work with. We highly recommend them. The shed you built for me last summer has turned out great. I love it. It’s provided lots of storage and space for a workshop… and looks great! 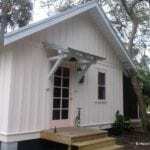 Historic Sheds designed and built a beautiful artist cottage with windows and French doors in our backyard. They are extremely professional with overseeing each part of the construction. The walls are built offsite then delivered and put together in the yard. This is a lot more than your typical backyard shed! – it more like another small house that one could almost live in. The finished product looks like it’s been here for years and has become a stylish, functional feature in our backyard. I would definitely recommend this company. Love the cottage…can’t wait for my first guests. I bet it will always have visitors. 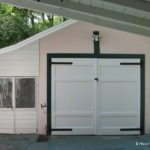 D and I were discussing the shed a few days ago and she talked about how she was very hesitant to go forward given the costs of “a shed”…but after seeing the final product, she said “I am so happy you insisted we use Historic Shed! No other shed would have looked right in that location – it completes the space perfectly.” D’s father told me that most houses he’s seen aren’t built this well. My view through the Ring security camera doesn’t really show me close-ups – but I was able to watch the work being done. Although no one fell in the pool (that I saw), I did see the crew covering the fence and some of the pool deck to protect from paint/other damages. They even put a drop cloth over the pool basketball hoop at one point. I really appreciate your crew taking the time to do things like that. I can’t wait until we get the landscaping done – and I also can’t wait to come home from this deployment and see it in person! Thank you for building the perfect shed for us. 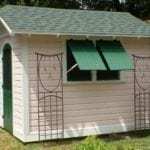 Pretty little garden storage shed. They did a great job – on time and they went above and beyond to work around some on site nuances peculiar to the placement/shed location. We had a large group of people visit this weekend. People who had never visited assumed the shed was original to the property; people who knew it was new were amazed that it ‘looks like it’s always been here!’ Good job! Thank you for our pretty shed! We love it! 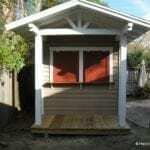 I just toured the finished shed. Its fantastic! Please let the whole team know we love it. Thanks for the great design and installation. 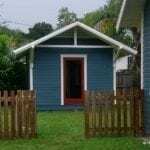 We can hardly believe it’s been almost six months since we moved into our little house. So sorry it has taken us this long to express our sentiments regarding the shared experience we had in creating our little gem. The four of us had the same mind set and alongside you it was seemingly effortless and loads of fun debating all the important decisions. It was a work of art in progress and at the hands of a professional and a true craftsman. Amazing it took us two years to find you, a designer and contractor who utilize a combination of critical design with modern sensibilities and old style construction technique. In addition, you were diligent, fair and affordable. Our visitors are fascinated with the utilization of space and the simplicity of it. They always exclaim about the air conditioned space being less than 500 sq ft and how the french doors opening onto the porch and the cathedral ceiling in the living space create a feeling of roominess. The separation of the bedroom, bathroom, and utility area from the living space makes it feel more like a “real” home and they love the whimsical addition of the outside deck and bathtub. There seems to be a lot to absorb as they point to fine details – the beams, the wood interior, the attention to old style framing and traditional features like your hand-made window screen and doors. The blend of modern elements are smartly subtle as to not disrupt the old charm feel. Some think they are touring a renovated structure. One guest said she felt like she was sitting in an image on the cover of a coastal cottage magazine. Keep it up and many wishes for continued success on your own terms—you truly do provide a lost art.